Dan Carpenter's forays into the fractal hyperspace and hive minds of the DXM realms offer a serious contribution to contemporary psychedelic thought. His work follows in the tradition of inner-space investigators such as Coleridge, Antonin Artaud, Aldous Huxley, and Terence McKenna. This will be a 'must-read' for every serious psychonaut. "Dan Carpenter's forays into the fractal hyperspace and hive minds of the DXM realms offer a serious contribution to contemporary psychedelic thought. His work follows in the tradition of inner-space investigators such as Coleridge, Antonin Artaud, Aldous Huxley, and Terence McKenna. 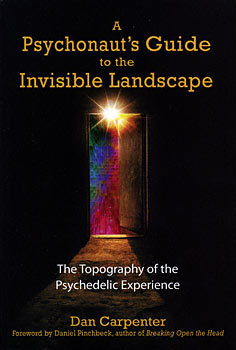 This will be a 'must-read' for every serious psychonaut." "Like that of the intrepid scout who surveys the fantastical geography of new worlds for others too timid to venture first, Carpenter's service will be honored and remembered."